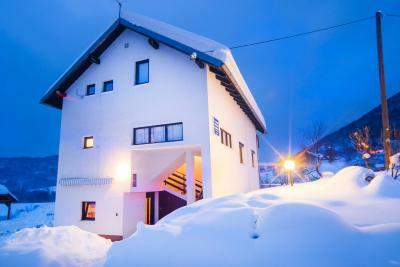 Lock in a great price for House Špehar – rated 9.1 by recent guests! 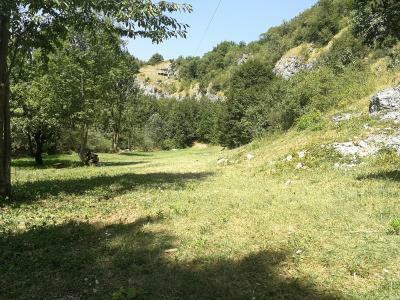 The host was wonderful, she brought us snacks and pizza even though it wasn't part of the reservation, location perfect very near plitvica lakes, loved it! Wonderful couple who own the property. Great welcome and farewell. Room reasonably basic, but clean and spacious, wonderful for our two day one night stay at Plitvick Lakes and only 4 kms away from the lakes. Great restaurants very close too. For the price we paid this room was perfect. 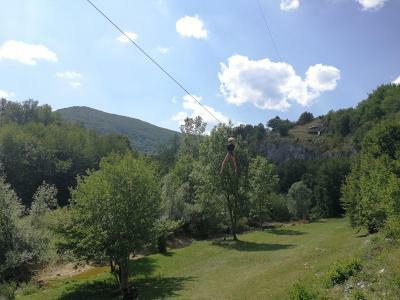 We even had a balcony and a great zipline within walking distance for more of a adrenaline rush. 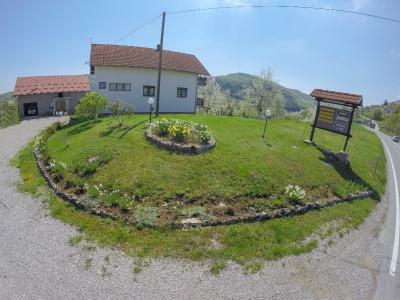 It was a very nice and wonderful experience staying at the house Špehar, the owners, Anna and Mario, are super kind and nice, the environment and the village are very beautiful as well, we didn't have a car, so they gave us ride to Plitvice Park. Also, we were there for Easter day and Anna gave us eggs and a lot of foods! So lovely! 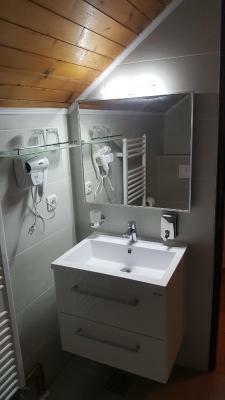 The bathroom was not inside the room but private and very clean. The balcony was very clean and nice, had a table and we had our meals outside in the balcony. 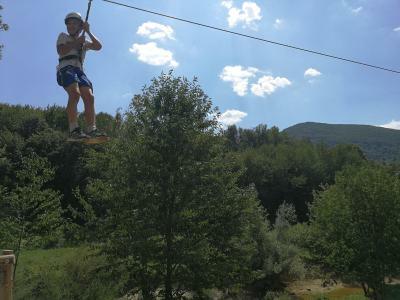 The river is near like 10 minutes of walk, as well as zipline! Anna welcomed us also with sweets and drinks. we had a great time there, if you want to feel the sense of nice village with the warmth of kind people I totally recommend this property! Anna was very nice, she waited until we arrived which was later than expected. She left us some food and drinks upon arrival as well. Made us feel as if we were staying at my grandmas. Very close to the park as well. Highly recommend! The hosts were so friendly and Anna left food in our room each day that we stayed there. There is also a lovely river to swim in just below the place. The host was wonderful, very kind and made you feel at home. We had lemonade and cake on arrival which we did highly appreciate. 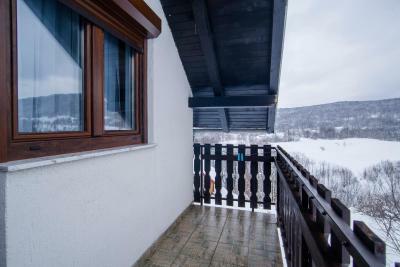 The room was quite spacious with a balcony and only a short trip over to the Plitvice Lakes. 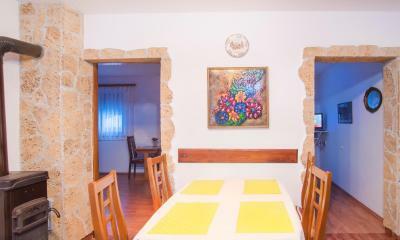 It is based in a quiet setting which was perfect for us. The host cleaned our room and changed our sheets after one day and left another treat in our room :) We would like to thank the host for a great stay and we would highly recommend this room and host to anyone else. Hvala Vam. Staying with this lovely couple gave us a experience of true country hospitality. 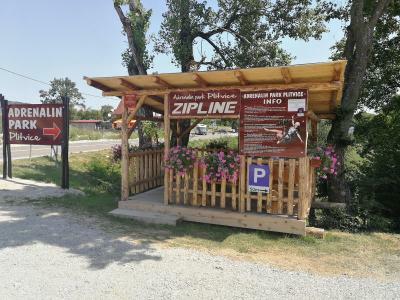 Even tho our hosts could not speak English they made us very welcome and through the neighbouring zip line staff we were able to get every thing sorted. Our washing was taken care of, even ironed while we were out walking and we were given snacks which we were very grateful for after a big day walking around the Lakes. There is even a great swimming hole 200 metres from the house. 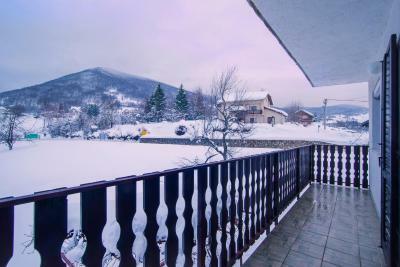 The panorama was excellent,the landlords of house were so warmly,but you need a car to go plitvica.I recomend to you to rent a car. 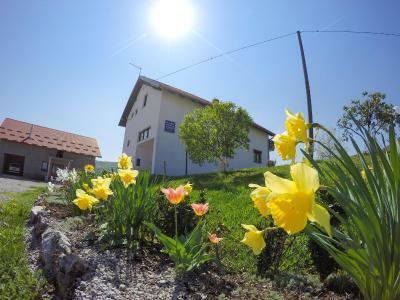 House Špehar This rating is a reflection of how the property compares to the industry standard when it comes to price, facilities and services available. It's based on a self-evaluation by the property. Use this rating to help choose your stay! 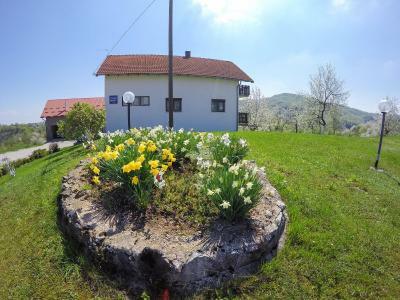 Located in a small village of Selište Drežničko, House Špehar is 4.3 mi from Rakovica and 2.5 mi from the UNESCO-listed Plitvice Lakes National Park. 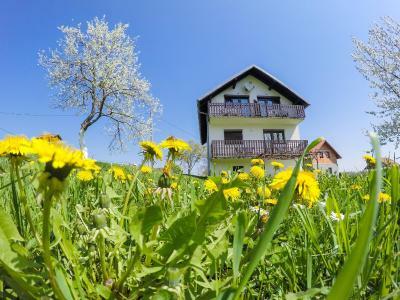 Surrounded by greenery and unspoiled nature, it offers accommodations with free Wi-Fi and a balcony. 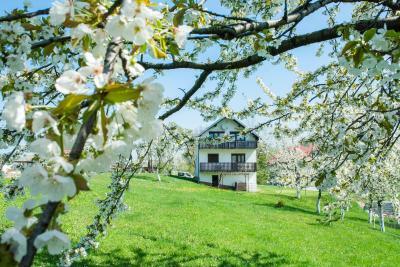 Set right next to Korana River, its guests can relax in the garden and enjoy the outdoor covered terrace with wooden seating area. All rooms come with parquet floors, wood-paneled ceilings and wooden furniture. 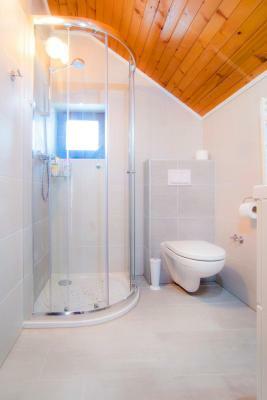 They feature a private bathroom, while apartments also consist of a TV and a fully equipped kitchen with a dining area. Guests staying in rooms have a shared living room with a TV and a small fridge at their disposal. A bus stop on the main road and the nearest restaurant serving local specialties are 650 feet away. A grocery store can be reached within 1,000 feet. Fishing and hiking opportunities can be found in the vicinity. 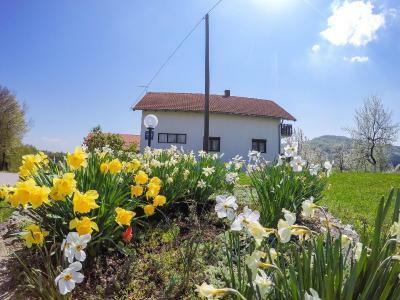 Swimming in Korana River is possible in Špoljarići, 650 feet from the House Špehar, while the Gajina Cave is at the same distance. 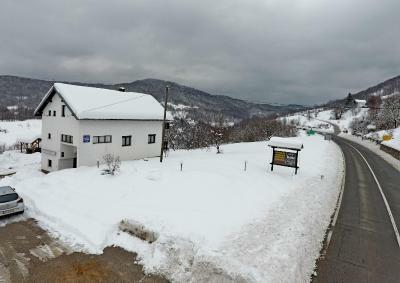 Barač Caves are 6.2 mi away. 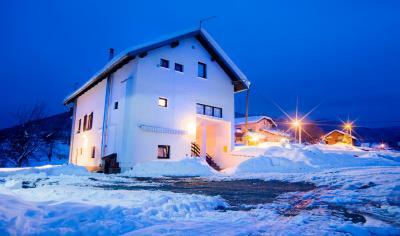 뀐 Located in the top-rated area in Seliste Dreznicko, this property has an excellent location score of 9.2! 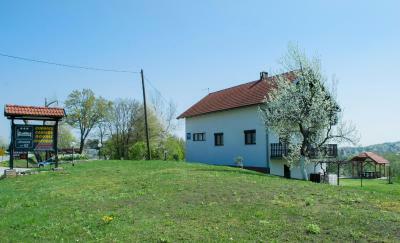 When would you like to stay at House Špehar? This room is located in the attic and features a balcony with a river view. 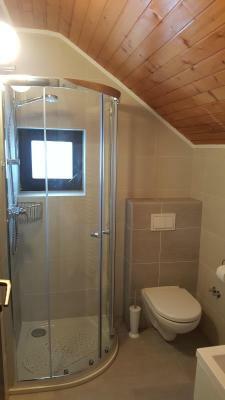 It comes with parquet floors and consists of a bathroom with shower. 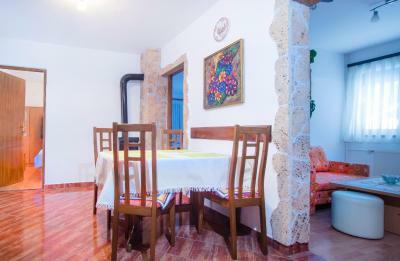 This room comes with parquet floors and features a balcony with a garden view and a bathroom with shower. House Rules House Špehar takes special requests – add in the next step! Easy to find and Plitvice Lakes are very close to the house. The owner is very kind. Easy to find. Very pleasant host. 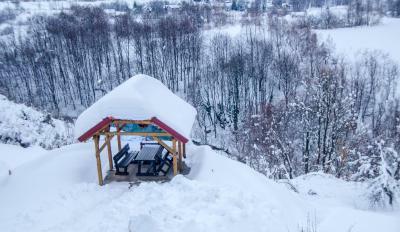 Very near to the Plitvice lake. Clean. Nice view from the veranda. The room was very clean. Everything smell fresh. Nice view from the garden. 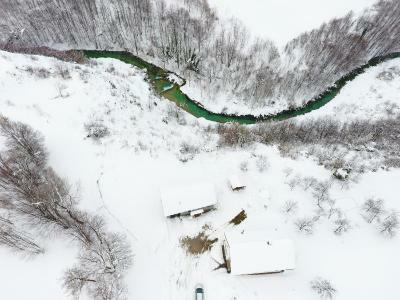 Very close to Plitvice National Park entrance. They have welcomed us with homemade cheese, beer(or juice) and homemade donuts. Very friendly host. We got free drinks and a chocolate doughnut upon arrival. Lovely view. 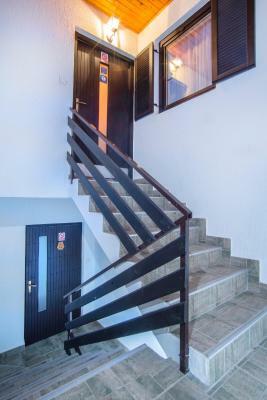 Excellent location, spacious room, clean, private bathroom, comfortable bed, balcony. 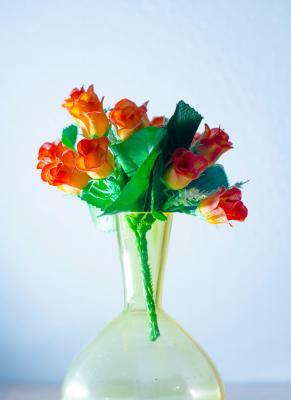 Welcoming, generous & lovely hosts that will go out of this world to give you the best stay ever. Homemade sweets, coffe, cold beverages, umbrellas & even a ride to the lakes for free. Ana & Marko are good hearted people & treated us like their own daughters. Hvala vam puno Tera Ana I Marko!